Kathleen Luckhurst passed peacefully on April 10th, 2019. She was predeceased by her husband, Edward Henry C. Luckhurst. Kathleen is survived by her children, Ted (Chris) Luckhurst of New Zealand and Adrian (Katy) Luckhurst of Victoria, BC; grandchildren, Clive and James, Adrian and Britt-Marie; great-grandchildren, Lilly, Elliot and Zoe; friend, Mary Taylor. A special thank you to all the staff at Qualicum Gardens. Kathleen was a telephonist during the war and operated Field Marshall Montgomery's, red line. 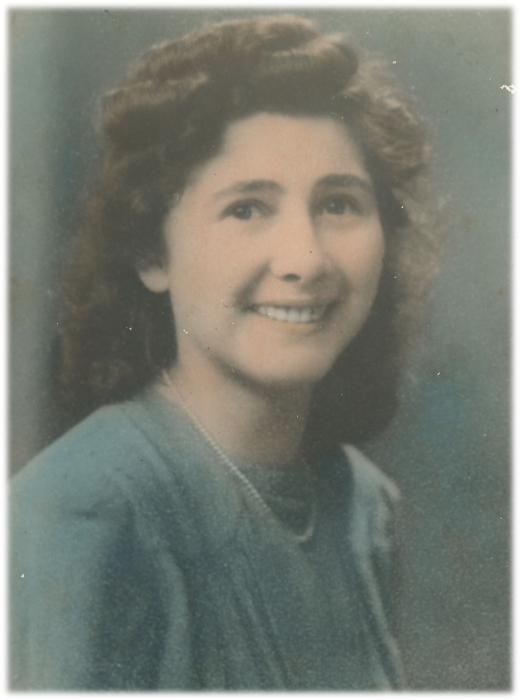 On her way to work she was dive-bombed and machine gunned by the German planes and survived by diving into a ditch. She witnessed the first Doodle-Bug to hit Canterbury. Kathleen met Edward as he delivered milk to their house, and they married before the war. She was an avid gardener, botanist, and had a passion for all animals. During and after the war she worked on the family farm and cared for not only the family, but any sick animals. She loved poetry, drawing and languages. Kathleen was a wonderful, caring, fun loving mother who could make a tasty meal from the very basic ingredients of our rations. She loved her tea, cakes and chocolate – a true English lady! We love you mum. A service will be held at 2:00 pm on Thursday, April 25th, 2019 at Yates Memorial Services, 1000 Allsbrook Rd., Parksville. In lieu of flowers, please consider honoring Kathleen’s memory with a donation to the SPCA. There's still time to send flowers to the Funeral Service at the Yates Memorial Services - Sunset Room at 2:00 PM on April 25, 2019.